There are beaches around much of the coast of Sicily - from fine long sandy beaches to grey volcanic beaches, interspersed with dramatic rocky coastline, harbours and ports and with an impressive backdrop of the Sicilian hills...and areas that are rather overdeveloped! Mondello, near Palermo (north Sicily), has a long sandy beach between Monte Pellegrino and Monte Gallo. There is a good sandy beach at Cefalu on Sicily's north coast. North of Messina (north-east Sicily) there are several beaches, both popular and less crowded, at Lido di Mortelle. Capo D’Orlando and San Gregorio beaches are very popular. On the coast below Taormina (eastern coast) and reached via a cable car there is a sand/pebble beach at Mozzaro, while more beaches are available close by including Mazzeo Taormina, Giardini-Naxos, Recanati and Isola Bella Taormina (beautiful but stony) among others. Heading south-east the beach at Marina di Ragusa is popular and one of the best in the region. The Vendicari beaches are also highly reputed. On the southern tip of Sicily there is a beach at the 'Island of the Currents' where the waves from the Ionian and Tyrrhenian Sea collide together. The Pelagia islands, reached by ferry from Porto Empedolce (southern coast), have some very high standard beaches including Spiaggia dei Conigli (Lampedusa 'rabbit beach*'), also featured on 'best beaches in Europe'lists. A short walk from Scopello in the Zingaro Natural Reserve (northern coast of western Sicily) there is a small yet very attractive sandy beach recently listed as one of the top 10 beaches in Europe. Several other small coves and beaches are also found within the Natural Reserve. 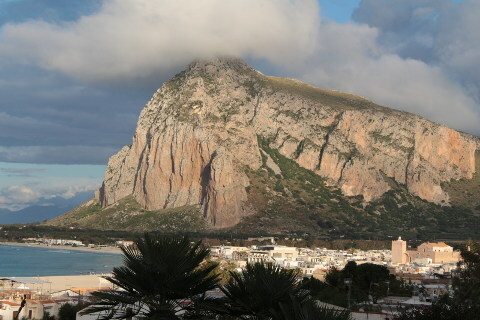 Near Trapani the most popular beach is situated at San Vito lo Capo, popular with tourists and locals alike. There are many more splendid sandy (or rocky, or lava...) Sicily beaches to discover during your visit, and other opportunities in the islands off the coast, often in impressive locations and frequently with stunning turquoise seas ideal for snorkelling and diving - those listed are just a selection of the highlights.